How to know if someone opened your email or not is essential to learn. Let me put forward a case to give you a perspective. You are planning to product launch. Now, you have decided to pitch thought leaders and top bloggers to help you put your message out there. You’ve prepared plenty because you don’t want to leave anything to chances. You crank out a powerful email that you feel will blow them away. Then you hit the “Send” button and wait for the results. Just imagine if you didn’t have to wait for the results. What if you knew how to tell if someone read your email or not? Wouldn’t that be great? Whether you send it from Gmail or Outlook or any other email client, you will be able to know who and when someone opened your email pitch. Moreover, you can measure the success rate by tracking the open, reply and click rate at the same time. Don't Wait, Track Your Emails For FREE now! According to The Radicati Group, a technology market research company, the average adult will receive 92 email messages per day. So there are high chances people might ignore your email if they don’t know you well. Chances are you might not know whether your recipient opened the email or not. In such a case, having the knowledge of how to know if someone read your email becomes critical. Using an email tracking application/tool. In this post, we will be discussing the two methods that guide you on how to know if someone read your email and the best way to increase open rates. If you are an employer or are running a business, you might require more than just knowing whether your email was opened or not. Apart from email opens, you might be interested in certain insights or metrics that might shape your strategy or next decision making. In such a case, learning how do you know if someone read your email or not might need a third party software – an email tracking application. Good news is, these applications offer more features than the native free-to-use email clients. The bad news is, unlike with Outlook read receipt, which is free to use, these are paid services attracting monthly or yearly subscriptions. However, some offer free basics but with limited features. These tools not only tell you if the email was received and opened but also when it was opened. Some of them are the features provided by email clients for the user’s convenience but these features have many limitations which are eliminated when it comes to email tracking tools. SalesHandy, for example, lets you know the how many times your emails were opened or read. You can keep a track of all the bloggers or investors you pitch your ideas to and interact with them according to their interest. You can also track the links in the emails sent. Apart from all these things, SalesHandy also helps keep track of document open and shares so that you can easily measure the success of your campaign. Try out SalesHandy in your next campaign, sign up here for unlimited free email tracking and scheduling. Signup For FREE Gmail & Outlook Read Receipt! How does email tracking tools track your emails? All the email tools mentioned above, when used, put a tiniest invisible tracking pixel of 1*1 size to the emails you send using their plugins or software. So, when your recipient will open the email, you will be notified that your email has been opened/read. Once you learn how to know if someone opened your email, you might be surprised at the number of people who read your emails and just decide to go mum. Another way, rather than the one mentioned above, to know what really happens to your emails after hitting send is to enable the option to request return/read receipts with the email that you send. But, you have to bear this in mind: these requests only do half the job. Your recipient might decide to decline the requests. That means you won’t be getting the receipt responses to the emails you sent. Also, there are email platforms though that don’t allow to track whether the emails were opened and read or not. 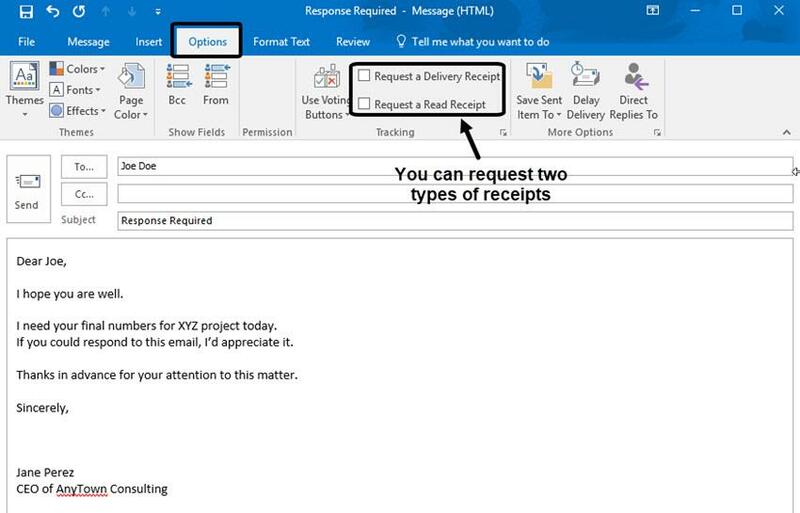 Outlook allows you to make two requests – whether the email gets successfully delivered and whether it was opened and read. Go to the top menu bar and click Option. Once it brings up its sub-menu, check request a Delivery Receipt and Request a Read Receipt. Once your email has been delivered successfully and opened, you will receive a notification, upon recipient’s consent. Google doesn’t allow you to request a read receipt in the free version of Gmail. However, it is possible if you are a Google premium user (use Google’s paid business cloud software G Suite) and have administrative rights to the platform. 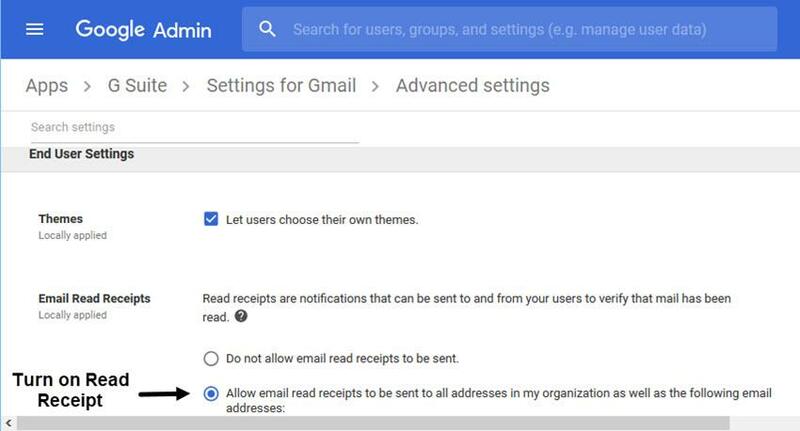 On the G-suite Admin console, find and activate the radio button at the bottom to turn on reading receipt requests. Otherwise, you may ask the administrator to do it for you. What can set your emails apart? You worked hard and did everything to set your email apart. You then learned how to see if someone read your email and implemented it, only to find out that your email open rates are disappointing. What can you do more? How can you optimize the overly optimize emails? Well, while you were dead set on making your email perfect, there is a possibility that you might have ignored the email subject line. What’s important in that you ask? It’s the first impression on the person you are emailing and I say that is one of the most important thing about pitching. Making the right first impression. How to generate FREE, organic traffic! ⏰ Are you In or Out? Forget Groupon — this stuff works! All these above-mentioned subject lines will work in getting you high open rates. Send and Track Emails for FREE! You have worked hard to design, write and optimize that email. The last thing you would want is to have it tossed into the bin, or totally to go unread. If you are using the free email platforms, you can always trigger request receipt feature. And, that’s how far it gets. However, if you need to discover more than which email was opened or not, you need to look elsewhere. Email tracking tools will not only track email, and the link opens but also offers you extra intelligence you need to boost your business and sales. However, most of them are paid, and the free version might come with some limitations. Hope you learned how to know if someone opened your email or not. Please do share with us, which tracking tools are you using? If not, then what are you doing to make your emails stand out? Every tip is worth sharing. Scroll down to the comment section and let us know what makes your emails stand apart.